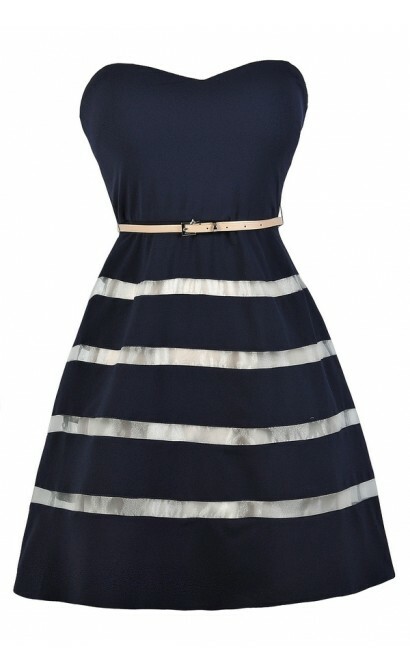 This classy belted navy dress has alternating stripes in the skirt that show through to the beige lining. 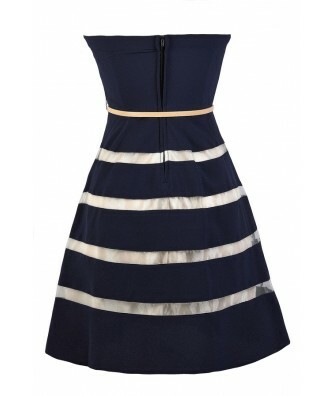 The In The Navy Belted Strapless Stripe Dress is fully lined. 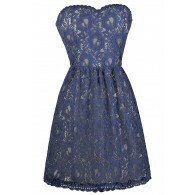 It has a strapless sweetheart neckline and lightly padded bust for support. The empire waist has an included beige belt that wraps around, adding contrast to this look. The attached skirt has an A-line cut and features horizontal stripes of semi-sheer fabric that allow the beige lining of the skirt to show through. A hidden back zipper completes this dress. The In The Navy Belted Strapless Stripe Dress is a cute option for any occasion-- we love the combination of navy and beige paired together. 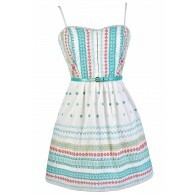 Pair it with beige pumps, wedges, or heels to match the belt and create a chic look. Details: Fully lined. Lightly padded bust. Hidden back zipper. Belt included. 95% polyester, 5% spandex. Contrast: 100% polyester. Lining: 100% polyester. 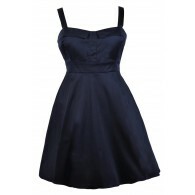 Size 3 measurements: Length from top of bust to hemline: 29". Bust: 30". 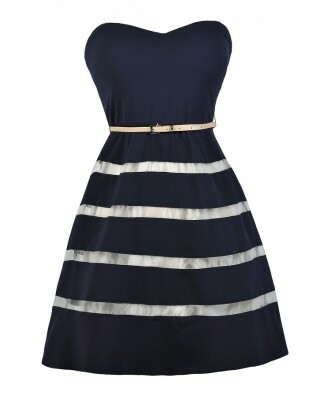 You have added In The Navy Belted Strapless Stripe Dress into Wishlist. 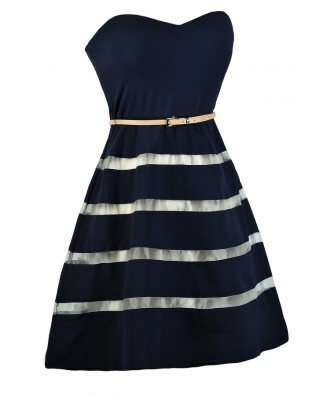 You have added In The Navy Belted Strapless Stripe Dress for Stock Notification. 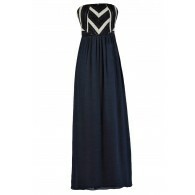 You have set In The Navy Belted Strapless Stripe Dress as a loved product. 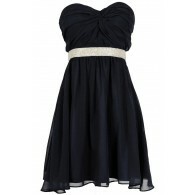 You have removed In The Navy Belted Strapless Stripe Dress as a loved product.